A day care centre makes all the difference. 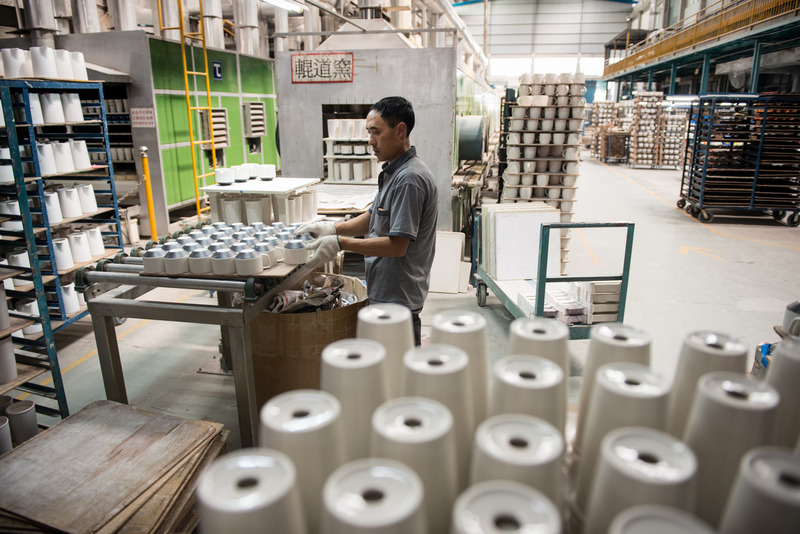 A worker takes care of ready mugs at the Dongguan Concord Pottery factory in Southern China. In China, more than 61 million children are left at home with relatives when parents migrate for work. 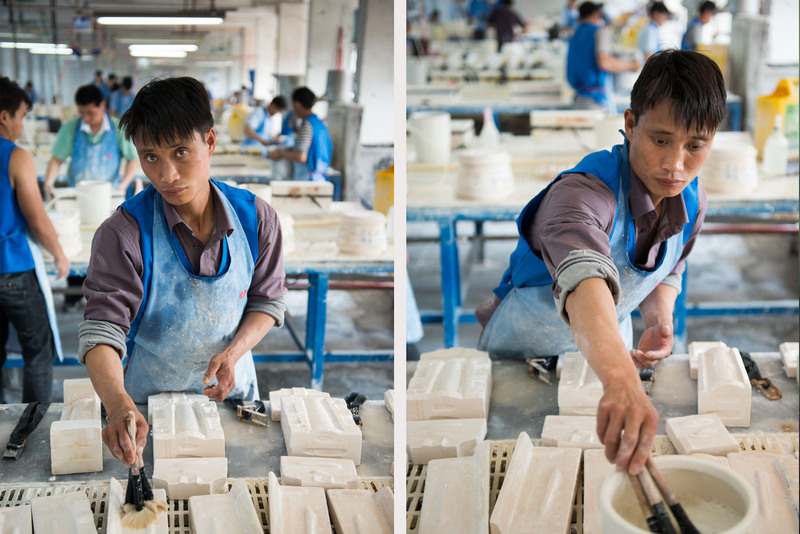 Most of the workers at Dongguan Concord Potter come from far away. As a direct result of a training by CCR CSR on the impact on workers that have their children hundreds of miles away for years on end, a day care centre was started at Concord Pottery. Dongguan Concord Pottery makes ceramic cups and other items for a leading coffee shop brand. They employ around 3,000 people at their factory in Southern China. The company has worked with Save the Children’s centre for child rights and business in China (Centre for Child Rights and Corporate Social Responsibility, CCR CSR) since 2013 in order to improve the situation for their workers who are also parents. The partnership has meant quick and tangible improvements, not only for employees and their children, but increased staff retention and lower costs for the factory itself. Mould making at the Dongguan Concord Pottery factory in Southern China. There is a striking labour shortage in Southern China, recruitment is a constant worry for most factories; but after the news of Concord’s nursery spread recruitment got easier. Lake Law, head of corporate social responsibility at Dongguan Concord Pottery. As a direct result of a training by CCR CSR on migrant parents and the impact on workers that have their children hundreds of miles away for years on end, a day care centre was started at Concord Pottery. Shao Haoliang and his wife Wang Shuqin with their son Shao Qian in the dining hall at Dongguan Concord Pottery in Southern China. The company recently started a day care centre at the factory, which made it possible for them to bring their son from their home village. 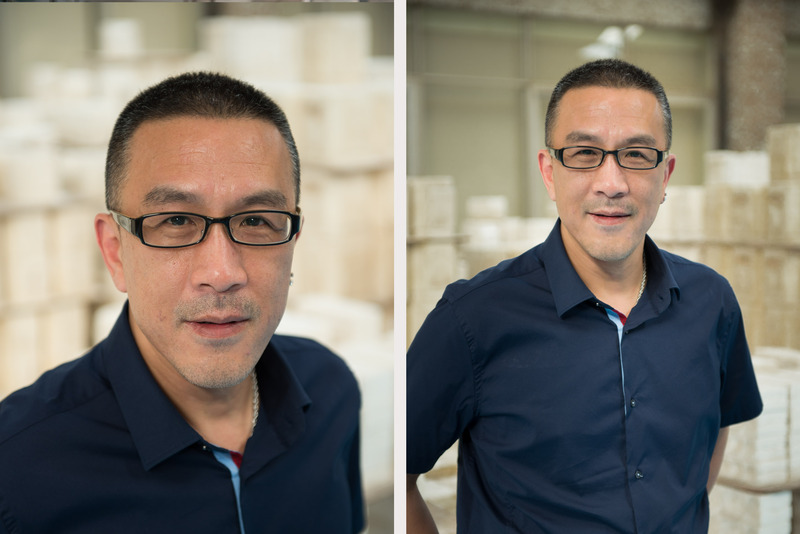 Haoliang has just finished his shift as security guard at the gate of Dongguan Concord Pottery in Southern China. He is meeting his wife Wang Shuqin, who also works at the factory, in the factory dining hall. Their son Shao Qian is also here – reading a comic book at the stainless-steel table. It is the first time for years that he lives with his parents. Haoliang’s son Shao Qian is 9 years old and used to live with his grandparents while his mum and dad worked in Dongguan, far from home. Typically, Chinese migrant parents who leave their children behind see their children once a year at Chinese New Year, and then just for a few days. 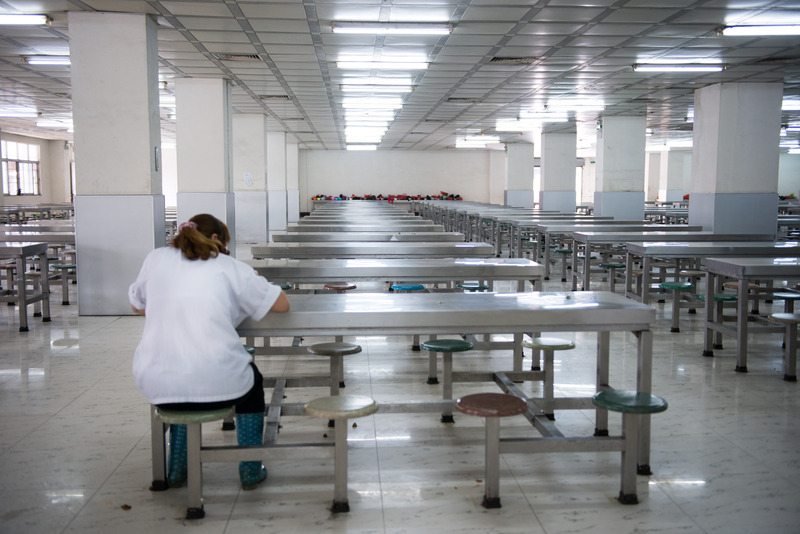 Last of the kitchen staff finishes lunch in the dining hall at the Dongguan Concord Pottery factory in Southern China. Workers take turn to cook for the others and a committee decides on lunch and dinner menus. In China over 61 million children are left behind when their parents move to other parts of the country to look for work. The long-term impact for both children and parents is well documented, but family issues are seldom taken into account by companies when they try to improve worker retention, production quality and profit margins. CCR CSR conducted a study in 2013 that showed that 80% of parents with children left behind in their home town/village felt inadequate as parents and worry about their children was listed as causing frequent errors in almost 40% of the over 1,500 migrant workers that were part of the study. Leaving your children behind with relatives or other care takers is a major concern, not just for the parents, but for the companies that hire them. Children playing at the day care centre at the Dongguan Concord Pottery factory in Southern China. 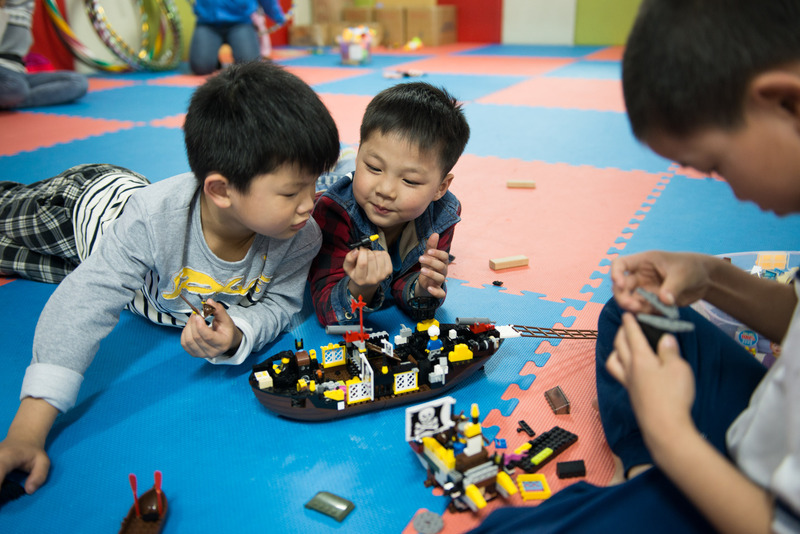 The day care centre at the Dongguan Concord Pottery factory is full of children playing – making hand stands, building a pirate ship or trying to hide from each other in an elaborate game of hide and seek. On the other side of the windows, in the next room, some of the older children are doing their homework. It is a typical evening at the newly started centre. “We are trying to build up a good place where parents can work well and kids can learn well. That is our goal,” Lu Zhiqin, responsible for the day care centre, says. 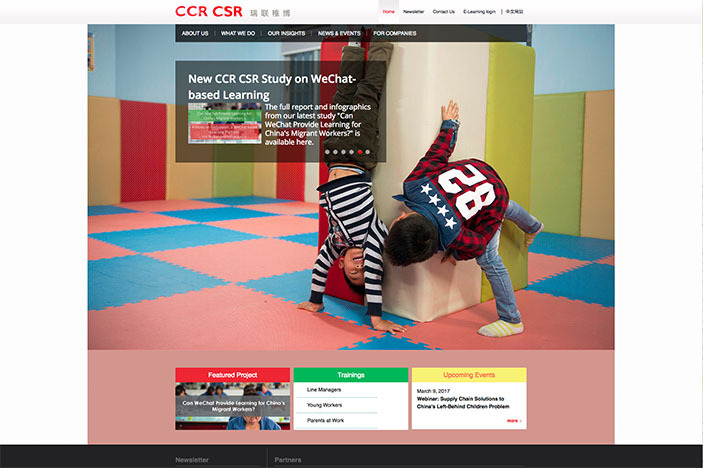 Used on the front page of CCR CSR's web site. 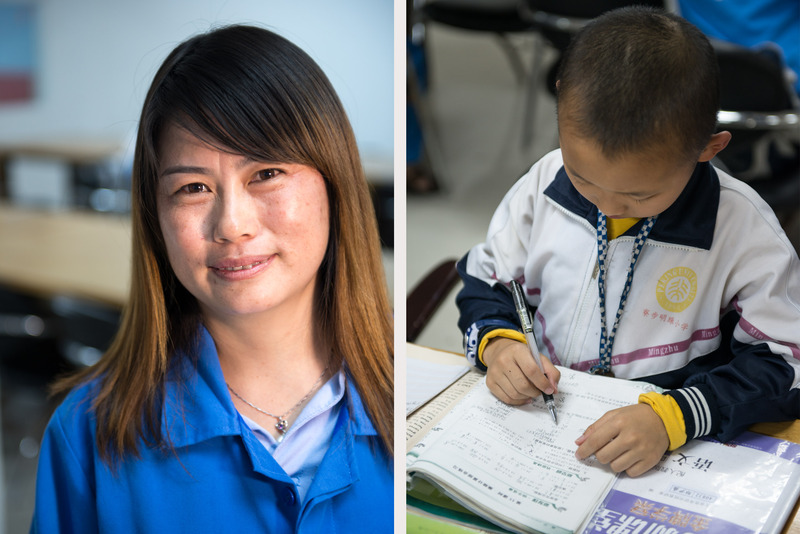 The Centre for Child Rights and Corporate Social Responsibility works in mainland China, Hong Hong and in a number of other countries in South East Asia. A father helps his son with homework at the day care centre at the Dongguan Concord Pottery factory in Southern China. 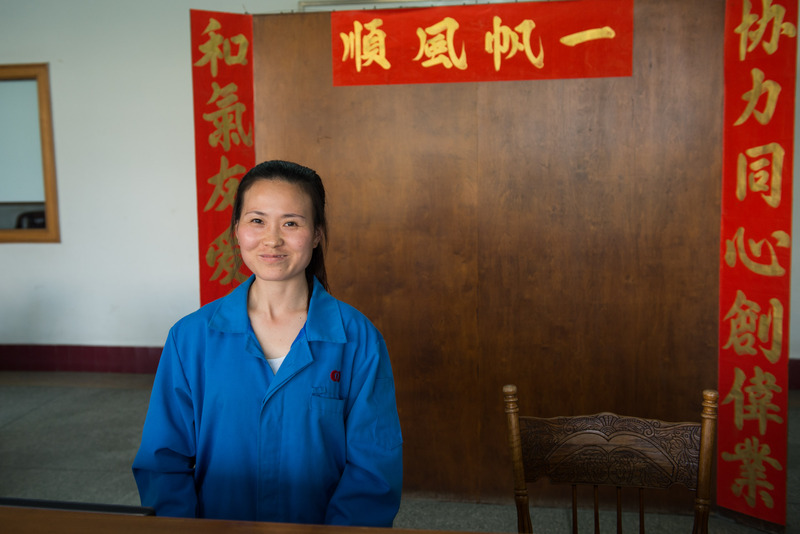 Shi Qin is the front desk receptionist at Dongguan Concord Pottery. She has been with the company for 11 years. “I feel good about work, because my kid is here in the day care centre. All parents here can set our minds to rest when working. I’m not worried that he will be in danger, that sort of thing. The factory did a good job setting it up,” Shi Qin says. Lu Zhiqin is responsible for the day care centre at Dongguan Concord Pottery in Southern China. Having a day care centre at a work place is not common in China. But there is a striking labour shortage in Southern China, so recruitment is a constant worry for most factories. A day care centre was seen by Dongguan Concord Pottery as a competitive advantage in trying to attract and retain staff.